T-Mobile is trying to shake up the wireless business again, this time lessening the headache that comes with international traveling. Currently, staying connected while traveling abroad is downright annoying. You have to notify your cell phone carrier beforehand and pay hefty roaming fees just for the right to use your phone. On top of that, carriers typically charge astronomical per-minute, per-gigabyte and per-text rates for voice, data and texts. But on Wednesday, T-Mobile (TMUS) announced it's killing roaming fees and slashing per-minute and text charges. 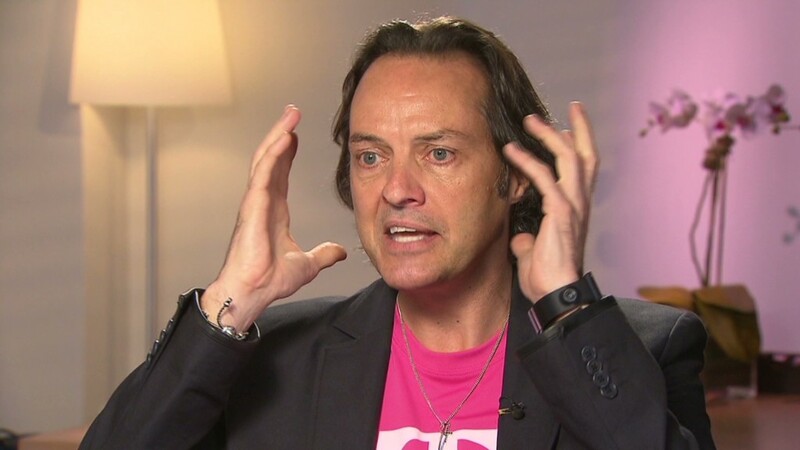 "The cost of staying connected across borders is completely crazy," T-Mobile's CEO, John Legere, said in a statement. "Today's phones are designed to work around the world, but we're forced to pay insanely inflated international connectivity fees to actually use them." But there are already those who doubt the latest promotion will work. Citi (C) analysts Michael Rollins and Simon Weeden on Thursday warned about the fine print: data roaming abroad is limited to slow 2G networks, which they said might limit the appeal. Nevertheless, it's the latest maneuver for a company that's fighting to catch up to the nation's two heavyweights: Verizon (VZ), AT&T (T) and third-place Sprint Nextel (S). When it comes to the number of wireless subscribers in the top U.S. carriers, T-Mobile is a distant fourth. Revamping its international strategy is part of its "uncarrier" campaign to shake-up the industry and draw customers away from its competitors. In the strategy's previous phases, T-Mobile eliminated phone contracts and eased the process of subsidizing new cell phone purchases. That's what it takes to stand out in the industry today, especially now that smartphones are released on every carrier simultaneously. Perhaps as a result, T-Mobile's stock is soaring. Shares have climbed 57% since its merger with MetroPCS, a competing carrier, in May. The latest subscriber numbers from T-Mobile show its plan might be working. During the second quarter this year, the company surprised Wall Street analysts when it added 688,000 wireless broadband and phone customers. Meanwhile, Sprint lost more than 1 million contract customers and AT&T shed 550,000. It marked the first time T-Mobile had last recorded subscriber growth since the start of 2009.